Although many people may be sad to see the summer coming to an end along with the temperature dropping, I for one, welcome this change as I know that late summer and early fall brings about more opportunities for trail running. I kicked started this new season by running the 5 Peaks race in Whistler BC just a few weeks ago—and loved every minute of it! 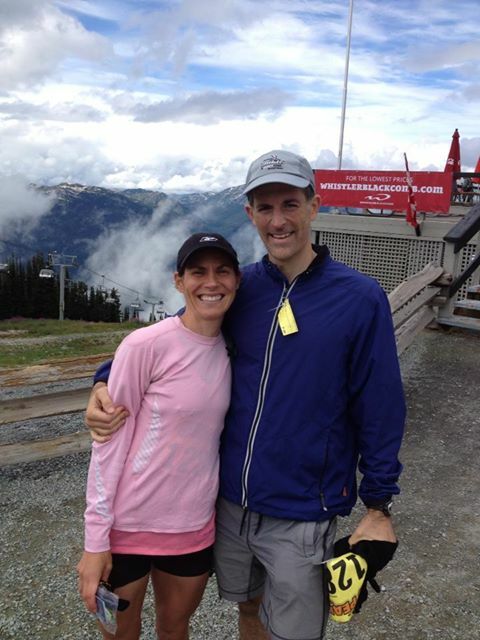 I’m not sure what I enjoyed the most: the breathtaking views, the challenging mountain climbs (noticed that I did not say “hills”), the tricky descents, seeing a bear, or the fact that I ran this with my husband (honey, if you are reading this, OF COURSE running with you was the best part!). It was also a great way to challenge myself and to gain further insight into my strengths and weaknesses. For instance, I learned that I am definitely no mountain goat when it comes to navigating the large rocks on the tricky descents down Blackcomb Mountain. I am, however, a little cougar when it comes to running up the mountain. Fortunately, I will be able to practice my descending technique even more when I attend the Active At Altitude Training Camp in Colorado September 19-22nd. Led by Adam Chase, American ultrarunner extraordinaire, this will be a fantastic training opportunity where I will be inspired by amazing trails and magnificent scenery. I am also going to use this trip as an opportunity to gain further ideas for the training camp that I am planning to host next spring or summer (check my blog for updates on this!). Also around the corner is the 4th trail running clinic that I will be offering on September 18th-this time right in my own backyard in Sunnybrook Park. Not only am I excited about hooking up with other fellow trail runners (and secretly trying to convert some of the “roadies”), I am also thrilled with the fact that this has meant that I had to explore the local trails and ravines even more. These are just 3 of the wonderful trail running experiences that the change in seasons brings about. As quoted by Aristotle “Change in all things is sweet”. Perhaps Aristotle was a trail runner at heart?